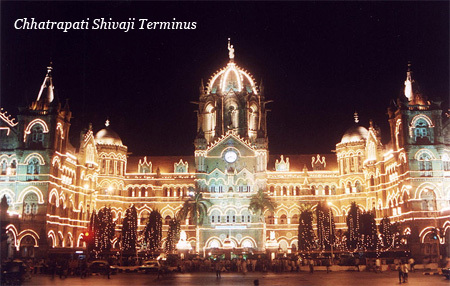 Ajmal Kasab was sentenced to death on May 6th for his part in the November 2008 terror attack on the Chhatrapati Shivaji (formerly Victoria) Terminus railway station in Mumbai. Terror’s the right word: he cold-bloodedly shot, maimed and killed people even as they lay around him screaming; survivors are emotionally scarred for life. Some people don’t like the sentence; they wish it were harsher. What he did was heartless, and yet upon hearing his fate, probably to be delayed by years or decades, he appeared to sob uncontrollably. “He should have thought of that,” said one commentator. Why not be heartless? Kasab was. I understand this response even as I’m repulsed by it. My first thought for Kasab was, “What did he expect?” Presumably, to die dramatically during the attack and be instantly transported to paradise. He may be a dangerous, premeditated mass murderer, but he’s also a fool. My second thought was wondering whether, had I been raised in the same circumstances, I too might have fallen for the same sort of twisted pseudo-religion. Do I have monster potential? I sorely remember how naive and gullible I was at the age of twenty-two. Those who are haunted by the question of capital punishment wonder, if we’re heartless to the heartless, what that makes us. Those who favor the death penalty see compassion as a weakness — as did Kasab. Selecting those who deserve it assumes moral superiority and the right to judge persons, not just what they do. I have a problem with that. It’s condescending to those who are deemed worthy of compassion and, worse, it undermines the whole point of compassion — a word that means ‘suffering together.’ Kasab was presumably motivated by a twisted wish to do the right thing. The uncomfortable truth is that good and evil are both products of the human heart, found nowhere else but in the human heart. To feel compassion for Kasab is not to condone his actions. Nor does it suggest he should go free. That would be insane. Part of me wants to treat him with unmitigated contempt — to think of him as inhuman. That way, I don’t have to wonder whether I too — unlike him a real human — have monster potential. Another part of me recognizes that who I am is contingent — that I’m lucky to have been well nurtured. We all trip up; when we do, nothing helps us back to our feet like real compassion. It makes us all better people. It makes society a better place. Who knows? It might even lead Kasab to regret his actions, not just because he got caught but because he realizes just how lost he was. Is there something wrong with that? Perhaps this is a radical idea, but I’ve always thought the real significance of violence is not what it does to the other person, but what it does to us. Violent acts, and I would include putting others to death for crimes, resonate in our consciousness for a long, long time. If we murder someone, they are gone, they move on, or don’t, we can’t be sure. But we are here, living in our own inner destruction. I’m not minimizing the effects on the person upon which we have acted. But I think the effects on us are far worse. This is not a completed belief, but something I have been pondering on for a while. But speaking it out loud, maybe I can gain some clarity on it. Sounds pretty well-thought out to me, though I wouldn’t call it just a belief; it’s more like real knowledge, the fruits of honest introspection. Radical too? Yes! Good for you. I recall seeing a TV program about a woman whose young daughter was kidnapped and murdered during a family camping excursion out in the western U.S. She actually forgave the guy and even became friends with his family and somewhat of a mother to him. I recall seeing another story about an Iranian immigrant whose son was murdered by a black teenager. This father befriended the murderer and his family and now goes around speaking at schools (with the uncle of the murderer) about their experiences. Their stories really made me think about forgiveness and compassion. I don’t know if I have that kind of compassion in me but I would hope. After 9-11 my immediate reaction was to nuke. After a few days of reflection I finally asked myself why would they hate us so much? What’s going on here? I travelled through Afghanistan and Pakistan many years ago, met many warm and friendly people but also saw some disturbing things. I thought about the above stories of compassion and thought about the possibility the U.S. had to set a real example. I don’t know what the answer is and whether we reacted appropriately. But somehow I feel we may have squandered a rare opportunity. Compassion of that magnitude is hard to grasp, but yes, I too would hope I might find it in me. ‘Why do they hate us so much?’ is the question that too many people were not asking after 9/11, as if there was something unpatriotic in understanding your enemy. I applaud your courage. Speaking as an non-American I can say that the sympathy for America at that time was enormous, and America might have garnered it to accomplish extraordinary things. It was all squandered in the following years. Today, we’re all afraid. I can’t see the coalition doing any better in Afghanistan than the British did in 1839–1842, 1878–1881 and 1919 — the Empire’s most resounding defeats; in fact, the resemblances are haunting.